DAVID LE/Staff Photo. 2/12/15. 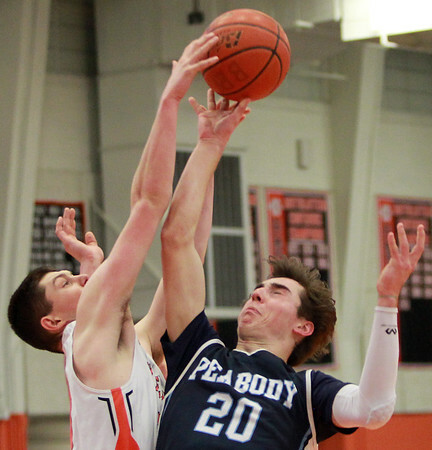 Beverly sophomore forward Pat Gavin, left, gets a block in the final minute of play on Peabody senior forward Mike Raymond (20) as he drove into the paint. Gavin and the Panthers defeated Raymond and the Tanners 70-63 in NEC action on Thursday evening.